And just like that, out of nowhere, here comes a Presidential candidate for the Republican Party that has quite possibly elevated himself to the forefront with just one simple speech. 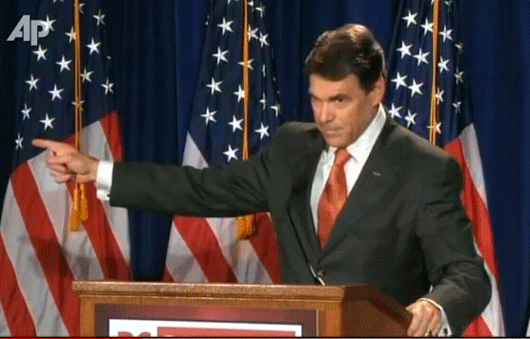 Texas Governor Rick Perry visited South Carolina today to give a speech where he announced he’ll be running for President of the United States. His speech was short, it was passionate, it was full of energy and seriousness, and ultimately it tugged at the emotions of those who were present.